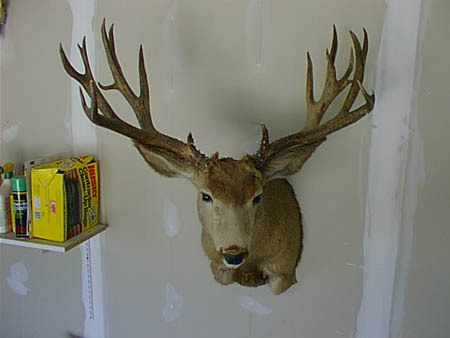 I’m going out monday , this deer will be my goal. Nice buck man, thats pretty sweet. My buck was almost just like that this year. But he was just a little bigger than that one, but the funny this is I killed him on public land. Too bad Bob in Saskatchewan I saw your picture this year and it was tiny compared to this one.Why don’t you send it in? nice buck but why is he stuffed in the garrage? where no one can appreciate him arnet you proud of him?